THE OPERATION OF THIS WEBSITE AND CONTENT IN NO WAY IMPLIES THAT THIS SITE IS ENDORSED BY ANY PROVIDER OF PRODUCTS AND OR SERVICES. Your Code of Professional Conduct is expected to be governed by the same as required for your Tax Agent or BAS Agent Registration, and or for any Tax Practitioners Board Recognized Professional Associations Memberships [including being a Fit and Proper Person]. If you are not covered by this Code of Professional Conduct, then you are required to abide by the requirements of the Australian Securities & Investments Commission, the Department of Justice, the Australian Competition & Consumer Commission and Australian Law in the operation of your business. Further, even if you are a private individual or employee, when dealing with other members (and the public) via any BizResource™ tools and resources you must act honestly and with integrity, you must comply with taxation laws, and you must act lawfully and in the best interest of other members and the general public. Unless you have a legal duty to do so, you must maintain member confidentiality other than what can be confirmed in writing as being public knowledge. You are responsible for the accuracy of the information in your Member Profile, and any misrepresentation will result in the immediate suspension or cancellation of your Membership. You have a significant role and responsibility of protecting your User Profile login information. You should not under any circumstances share your login username and password with others. If other employees of your business and or your associates would like access to this site, then please ask them subscribe independently. All information, articles, reviews, comments and messages express the views of the relevant author and neither the owners of this site or moderators will be held responsible for the content. You agree that you will not post any information that is obscene, vulgar, sexually-orientated, hateful, racist, threatening or otherwise violate applicable any laws. The webmaster reserves the right to moderate, delete and or edit content for any reason whatsoever. You may from time to time directly receive an email from the webmaster in regards to workshops, meetings, website technical issues, important web site updates including new and amended resources. For this web site to evolve and provide valuable and practical resources for all, you agree when requested to provide timely feedback, suggestions and ideas. A link to these Rules will always be readily available on the Home page. Further, the webmaster reserves the right to change and amend these Rules without notice to ensure website integrity and security. 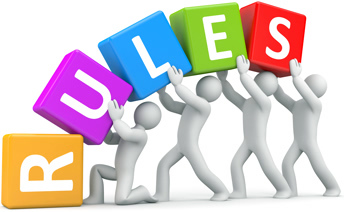 Any significant changes to these Rules will be advised prominently on the BizResource™ home page. You are most welcome to offer suggestions and recommendations. You may cancel your membership at any time by simply emailing the webmaster from your registered email address as shown in your User profile. Your cancellation should then be confirmed by the next business day. The webmaster also reserves the right and without notice for any reason whatsoever to cancel or suspend your membership. Any complaints received from other users, a member of the public, local, state or government departments, industry or trade associations and the like in regards to your direct dealings with them, or inaccuracies or misrepresentations in your BizResource™ profile will be dealt with promptly for a quick and professional resolution. Please also read our Terms of Service [TOS] including our Limited Liability.